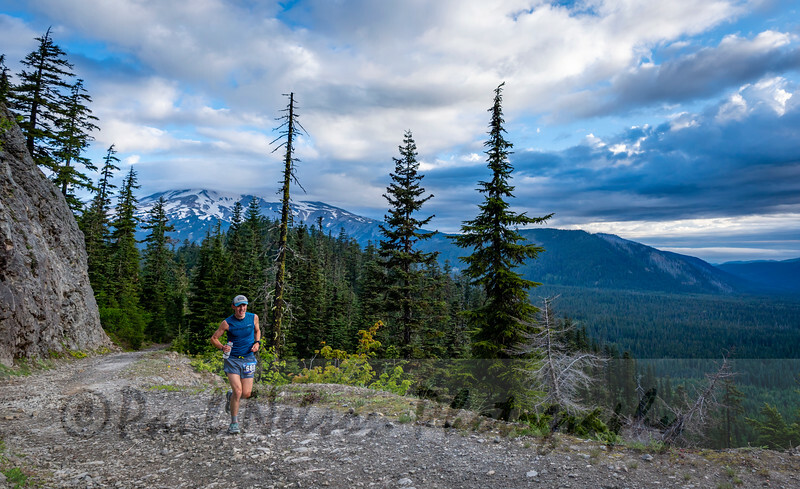 This brand-new 50-miler and 50K is possibly our most scenic race yet and will introduce you to trails you’ll want to return to again and again. The Wy’east Wonder is a point-to-point race run mostly on two ridges; Gunsight Ridge and Surveyor’s Ridge. You will have so many views of Wy’east (the Multnomah Tribe word for Mt. Hood) as you make your way from it’s southern side around to the east, that you may actually get tired of looking at it. We promise we’ll take your breath away, and it won’t be from only running. The 50M route has 6000′ of elevation gain and 8900 of loss. The 50K has 3700 of gain and 6600′ of loss.